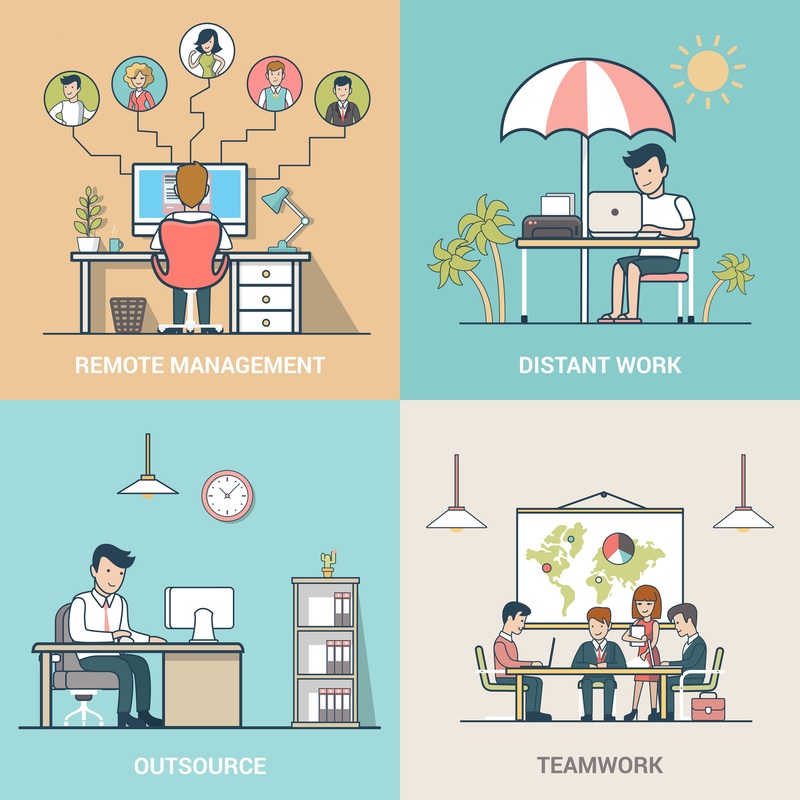 Are you thinking of setting up a remote workforce? You’re not alone! Kirill Tatarinov, the CEO of Citrix Systems, recently spoke on Marketwatch.com about the future of the work force; saying that by 2020, 50% of the workforce will most likely be working remotely. He went on to say that today’s professionals (executives, entrepreneurs, and many knowledge workers) are already highly mobile. 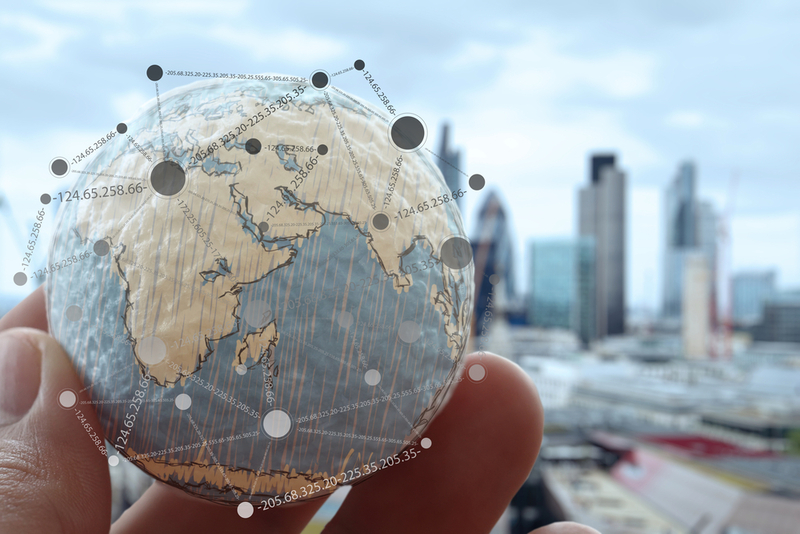 The list of companies moving towards a remote workforce model is growing, as many businesses realize the benefits of using a remote workforce. Companies like Citrix, SkillCrush, TELUS, and many more, have already moved to a highly flexible remote model for their employees, but if you think it’s something only large corporations can do, you should read on. The Huffington Post recently made a list of the “Top 10 Benefits of having remote workers on staff.” The benefits for the hiring company were quite enticing. Some of those benefits were: lower cost of overhead in regards to workers, equipment, and work space (since workers own their own equipment and work from home), lower turnover (due to happier employees), lower real estate costs, and a smaller corporate environmental footprint, among many others. Even something as simple as avoiding driving in the harsh Canadian winters was counted as a benefit (I know a lot of people who would love to skip out on that particular aspect of their commute). Another of the benefits of building a remote workforce is the amazing culture it can bring. In an environment where people are trusted and have full responsibility for their output, they tend to take better ownership of their responsibilities (or see the immediate results of a lack thereof). In a world where employee loyalty seems to be declining, there have been numerous studies (including this recent – incredibly interesting – study from the Harvard Business Review) that show how employees are more loyal to companies that show trust in their ability to provide the valuable service they were hired for. Employee’s that are trusted, feel like their work has a greater impact on the company as a whole; which is something almost every study has shown immensely increases employee satisfaction. Providing employees with the option to work when and where they feel the most productive can increase their work accomplished, their company loyalty, and their overall happiness. But, if you’re reading this article, then you most likely don’t have to be sold on the benefits of a remote workforce. Instead, you’re probably searching for practical ways to implement your own remote workforce. Setting up an effective remote workforce (one that has the flexibility you want but also provides the results you need as a business) is easier than it may seem. It simply requires that you prioritize effective methods of communication as well as clearly define the standards, goals, and expectations for your team. One of the biggest fears employers have when considering a move towards a remote workforce is ensuring that productivity will continue. You may wonder, “If we let everyone work from where they want, will we find ourselves paying our employees to sit at home and play solitaire or clean their living rooms”? “How can we ensure that we are getting back the value we are paying our employees for”? Remote.co (a website dedicated to helping companies grow remotely) recently featured a question on this topic. They asked leading companies, with primarily remote workforce’s, how they keep their remote employees engaged; many businesses responded with great ideas and tips. Having a clear mission and clearly defined goals. Regular check-in times as a team (to foster bonds of friendship and camaraderie as well as update everyone on your progress as an organization). Making sure all employees understand the company’s strategy and core beliefs (to understand the “why” and also to have a clear vision of the goal that you, as a team, are trying to achieve). Both Simon Sinek (famed author, entrepreneur, and marketer) and Jocko Willink (a retired Navy Seal Commander, author, and business consultant) have incredibly poignant remarks about this point. Simon Sinek says (in his book “Start with Why”), “people don’t buy what you do; they buy why you do it.” This is true not just for your customers, but your employee’s as well. When your employees understand the “whys,” both the company’s “why” and their own, they will transfer that passion and energy into their work, into their dealings with customers, and into their commitment to the company. They will no longer be working just because they get a paycheque, rather, they’ll do it because they are determined to see the company succeed. Jocko Willink often speaks about the idea of letting your team in on as much information as you can about their mission (in this case it’s the goal of what your team, or company, is working to achieve). In his best-selling book “Extreme Ownership,” Willink speaks about setting clear goals and clear instructions for your subordinates. If they don’t understand the mission, and their role in it, they won’t be able to execute it effectively. It’s up to the leaders to make sure everyone on their team is aware of the overall mission of the organization as well as their particular role in it – if they don’t, it’s not their fault if they fail. Make activity tracking automatic (don’t rely on self-reported data, have systems in place to automatically track and report the data you need). Focus on what, not when (don’t worry about what time of day your team is working, focus on ensuring achievement and productivity). Make sure everyone knows they are part of the team (keep your team in the loop about the company’s goals and any changes that arise, but also make sure they know they are valued and their contribution is key to the company’s success). Establish a time and method for regular check-ins (set up systems and processes so everyone knows when they will be able to have access to you or other members of the management team). Get to know your remote employees as people (This can be difficult with “remote only” employees, though many remote workforces have a more hybrid setup which makes it easier to get to know each employee, in cases where your team is completely remote, you can still get to know who they are as people, it takes effort but it’s worth it!). Schedule regular face-to-face time (whether in person or via online mediums, time to connect, to talk in person, will help bring your team together and make somewhat isolated remote workers feel a part of something more, whether the great goal being undertaken, or just a part of the greater team). You may have noticed one underlying theme that runs through every article and testimonial we’ve mentioned so far –communication! Good communication is integral to an effective remote workforce; both in the interpersonal sense and in regards to communications technology.